Thinkific is an all-in-one online course platform designed to empower anyone to quickly create and deliver stunning courses on their own branded site. Thinkific brings beautifully simple course creation. Easy to use. Drag and drop building makes it a breeze to put together an online course in such a short period of time. Customer service is outstanding. They are very responsive to answering questions and having tons of webinars to get you started. Such features could use updating. Some custom templates could use updating as well as now they only have three templates to choose from. Branding options could be stronger and an integration of live webinars would be an outstanding addition! Compare their features with other systems. Creating online course content in a simple and effective way without knowing code. A great platform to use and promote your online courses. Thinkific is a easy course creation platform that any beginner can use to create courses for their online school. I like the simplicity of creating modules, uploading video's, images and PDFs. Since it’s annoucements on the change of price plans I think it’s a great direction to go. Love the fact there’s now zero commission taken by Thinkific on plans and the limitations on the amount of courses available on the free plan is great. This way people using the platform for free can focus on creating content that’s packed with value rather that just getting as many courses created. Quality over quantity. My only dislike is the limit on the size of the uploaded videos, too much time is wasted waiting on the upload to then be told it's too large. I found thinkific more flexible and user-friendly and less steps to on board my learners. I'm able to create courses at super speed to get out to my learners. Saves me time, educates my audience and helps to build my brands online credibility. "The best online course software"
The flexibility when building the course, the possibility to add different media and create quizzes. Free plan. It would be nice to have more possibilities to blend our main site with the Thinkific platform. We are only at the stage of launching our product but before choosing the platform we did a detailed research on all products that are there in the market and Thinkific was by far the best. It is the most flexible online teaching platform and it is a godsend for tutors who want to start a real business building online courses. "All in one learning management system at your place !" really a good option for creating online courses,easy to use and straightforward . do give it a try! 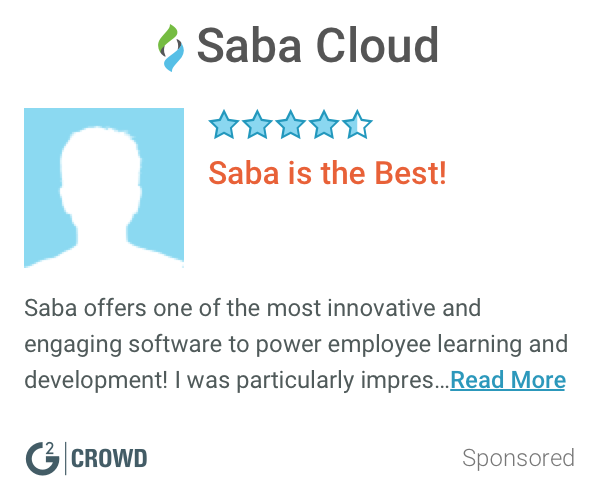 "I use thinkific for go-at-your-own-pace team trainings "
I love the fact that I can have a professional training site for free that is entirely paced by the learner. I also love that I can track where they are throughout the training! I don’t dislike much about the platform itself. I do wish that I could drip release the modules in the free version, but it’s amazing nonetheless. I highly consider trying this site for your next self-created training/course. I do not charge for my trainings (it’s included with what I offer), so I have not experienced earning revenue through the site. I am able to connect my team with trainings that I have prerecorded in a way that feels like a professional e-course. It saves me tons of time and is effective. "powerful dynamic platform to create online courses"
"Best online course builder on the market"
I like that the templates look nice, and the course builder is easy to use. They have great customer support too. I dislike the reporting features, and that you can't check individual quiz results. Don't waste time on Teachable or any other platform. Just get Thinkific. We have a home for our online course, and didn't have to get a more complicated platform. "QUick and easy but limited in terms of customisarion"
Easy and quick to learn and use. No technical info required to start. Listing our events and conferences. Easy way to build pages for them. "Awesome training tool with free option." Easy to use and great free features available. Nothing so far. It's great to use and easy to add to. It a great solution to teaching online. How easy it is to use, I am able to see my progress! I wish I was notified more of where I was at in the course! This is a great resource for our constituents to use and share. * We monitor all Thinkific reviews to prevent fraudulent reviews and keep review quality high. We do not post reviews by company employees or direct competitors. Validated reviews require the user to submit a screenshot of the product containing their user ID, in order to verify a user is an actual user of the product. Hi there! 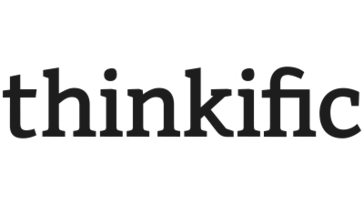 Are you looking to implement a solution like Thinkific?